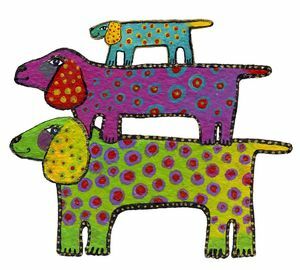 There are 3 new Laurel Burch patterns, MIkayla, Canine Friends and Dog Tribe. All available on traditional linen. 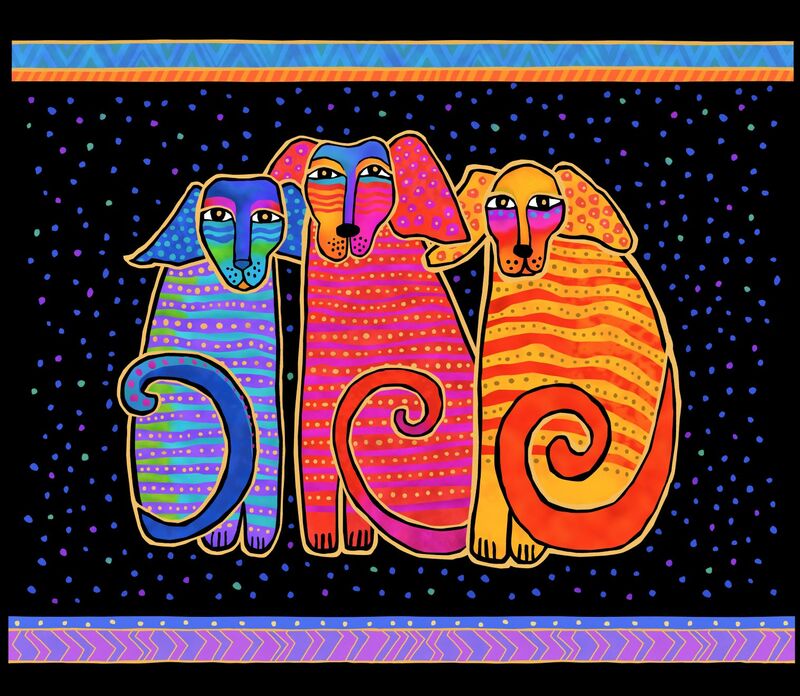 Fun and colourful patterns that appeal to Laurel Burch fans and dog lovers as well. I also have several new patterns in my line, Underwater Dreams and Orca are both availabe as kits. There is a new tab for kits and as I get the dye plans done I will be adding more over the next few months. For those of you in the London Ont. 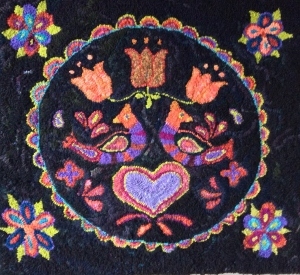 area don't forget to come to the OHCG Annual on Sunday April 14th, if you aren't attending the conference, I will be there as a vendor and it sounds like there will be a wonderful show of rugs. The next beginner class dates are Jan 26th and Feb 2nd, 2019. Both are Saturdays and there will be a snow day booked just in case of bad weather. 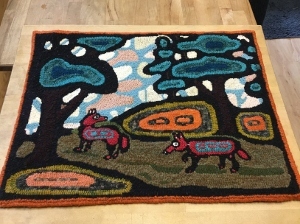 The workshop will cover basic rug hooking techniques, equipment, finishing and much more. The kit includes the pattern either the sunflower or loon, wool to complete the project, notes and a hook. A hoop will be available for your use during the class and to take home during the week in between classes. Registration deadline is Jan 2nd. Workshop fee $165.00 with a $65 deposit required to hold your spot. Fibre Fest was great, saw lots of friends I have not seen in ages. There was lots of interest in the beginner workshop in Perth so if you were one of those who want to take the class email me ASAP to reserve your spot. The date for the one day workhshop is Sept 29th, it will be held at the Free Methodist Church in Harrowsmith fro 9:30-4. Workshop fee is $135 and includes the pattern, wool and notes. email me to reserve your spot by Aug. 15th. Once the class is confirmed I wll email everyone. There is a choice of 2 new patterns which are 12x12 and 12x16 and both make nice pillows. NOTE: deadline for registration has been extended to Sept 15th. This workshop will also be run in Perth Oct 13th, email to reserve you place. The studio will be closed from Aug 17 to the 27th and I will not be able to return either phone calls or emails. Please contact me after the 27th for information about the beginner class or to order patterns. This is a quick pattern and fun to hook. The cat makes me smile every time I look at it. The light background one was hooked first and will be used at shows as a pattern sample. I hooked the second one to send off to the Laurel Burch Studio in California and thought I would see how it looks with a dark background. I can't decide which I like better. 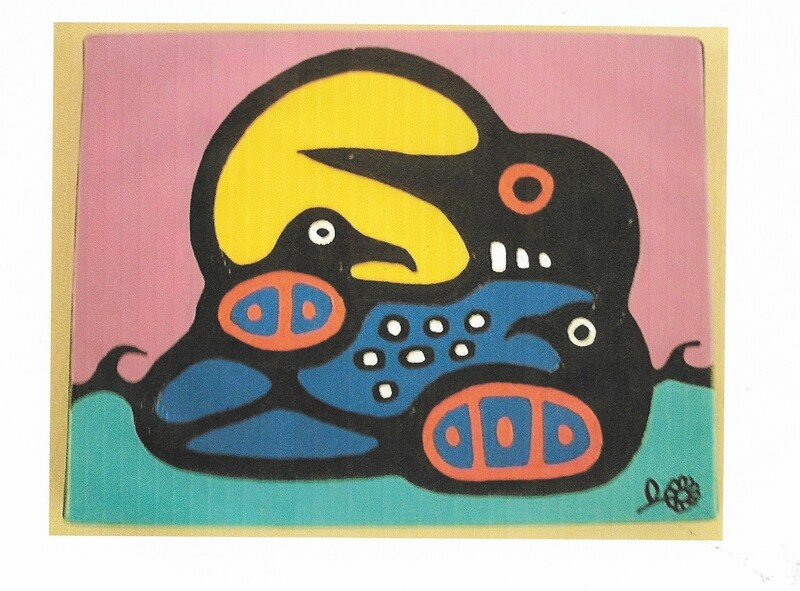 I am very excited to be able to offer 3 Laurel Burch patterns. Her vivid and vibrantly coloured images are whimsical creations from a mythical world of her own imagination. 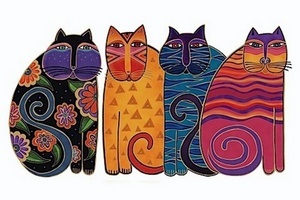 Recognized for her iconic cat figures Laurel created art that is timeless. The passion of her life was to emphasize our connections with the earth and all living things. See the new pattern tab for pictures and information about the patterns. 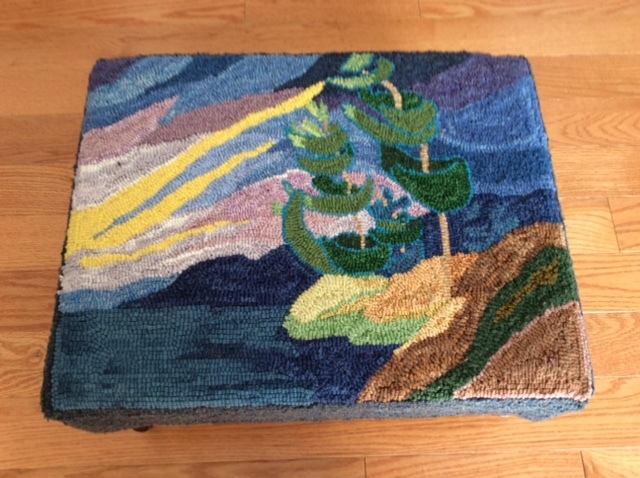 Jane Bridgeman sent this picture of her finished hex sign rug. It started out as a chair pad but she adapted the pattern to suit her space. I love how it turned out. 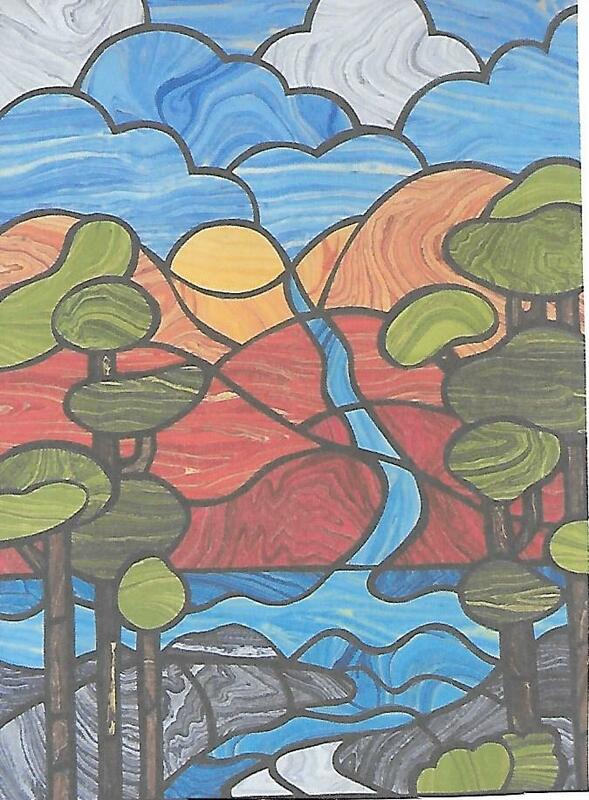 I saw Joni at the Almonte Fibre Fest and she had this version of Temagami Highlands, I love the fall colours. Things are winding up as we get closer to the end of the year, Rideau Valley Boots and Baskets vendor day is Thursday Nov 2. and then one class in Georgetown. I am looking forward to a few months to focus on new classes for next year. Check in early Feb to see what is coming up. Here is a picture of AJ's Friendship pattern hooked by Susan Fitzgerald. Beautifully done with great colours that are just different enough from the painting to make it her own.